Summertime! We may still be working at Sarah’s Music but we are managing to do it in lovely places. 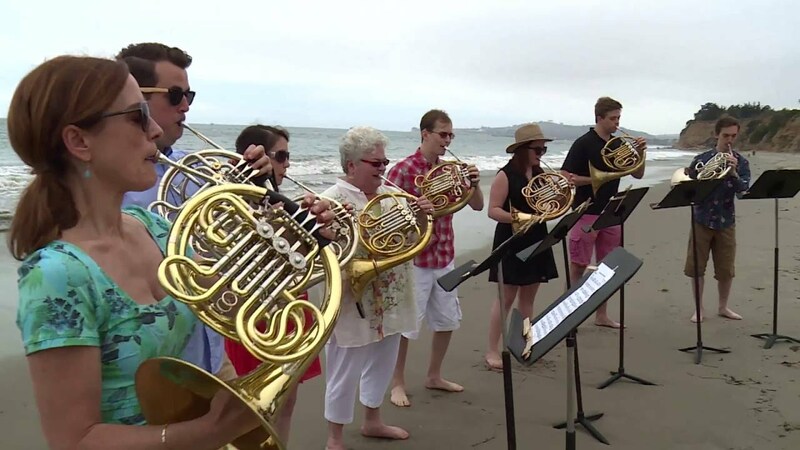 And the Music Academy of the West, located in Santa Barbara, California is a very lovely place. Sadly we only had 2 days there but filming in and around Santa Barbara definitely made me feel all Hollywood-y. The palm trees, the beach, the glamorous people. Speaking of glamorous people, the management team of the Music Academy of the West is wonderful. From the very passionate President and CEO Scott Reed to VP of Marketing and Communications, Ana Papakhian (who set everything up for us and made it all very easy) to VP of Artistic Planning Pat Posey (who doubled as cool chauffeur and yes, that really is his car…), we were looked after very well indeed. It was truly inspiring to see the talented young Fellows of the Academy interacting with their Compeers. The Music Academy’s ‘Compeers’ system of getting the local residents involved with their students is such a good idea! And not only do the lucky Fellows learn from this creative interaction but they also receive the best tuition from internationally reknowned teachers and conductors. And the icing on the cake is that they also get to live the California lifestyle for a month – eating healthily, doing yoga, being taken out on their Compeers boats. Wow. I wish I had known about the Music Academy of the West when I was a student! 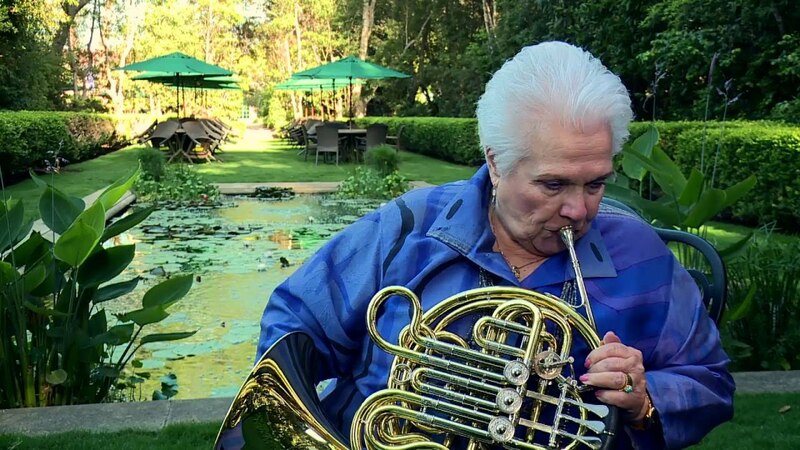 My own icing on the cake for this sunny episode, apart from the impromptu horn concert on the beach, was the honour to interview the legendary singer Marilyn Horne! Did she take the Horn(e) Challenge? Watch the episode and find out!